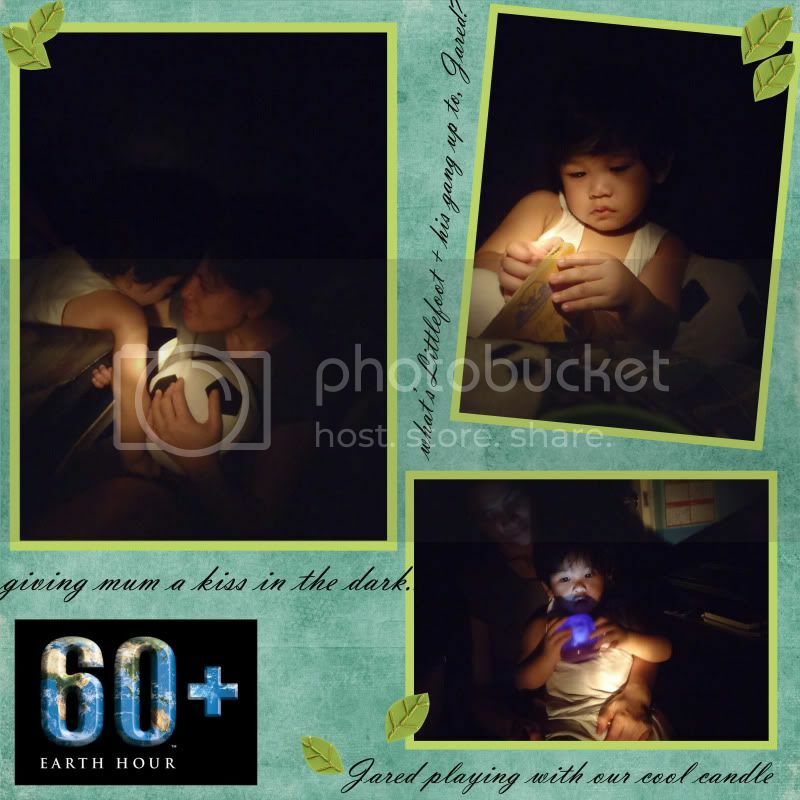 Last Saturday, joining a lot of other families worldwide, lights, + everything electrical in the house, were turned off in observance of Earth Hour. For one solid hour we reveled in the darkness, illumined by our flashlight + the purple electronic candle (the ones where you blow into the candle to turn it on + off), my good friend, Chris, gave me last Christmas. Jared, in his playpen for safety measures, lest he will be running in the dark + Mum will have to run after him, decided to tackle his book yet again + pretend-read while we lit him with the flashlight. We stayed in our room with my sibs, Ken + Bel, as the hour wear off. 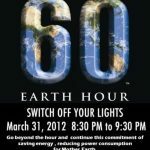 Earth Hour is something I’d like to make as a yearly family tradition. 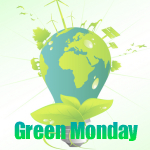 It is not only a perfect way of doing what little thing I can to help battle climate change, but is also a great avenue to teach my son to be eco-friendly too. He’s not asking much yet, being little still, but I know for sure that by next year he will begin to ask why we turn off the lights for one hour every last Saturday of every March + I’d be more than delighted to teach him the ways of the world, so to speak, the world where everyone is doing his share to help clean + eventually save Mother Earth. Sounds Utopian right, but with every little step we take, one earth-friendly deed at a time, one person at a time, I know you’ll agree with me when I say it is quite achievable. I only wish people in our rural neighborhood will find it in their hearts to participate next year, maybe I can start a campaign to promote it? Hmm, sounds like a good idea, well, let’s see…. 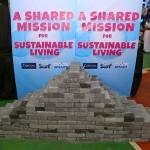 are you all geared up for earth hour?